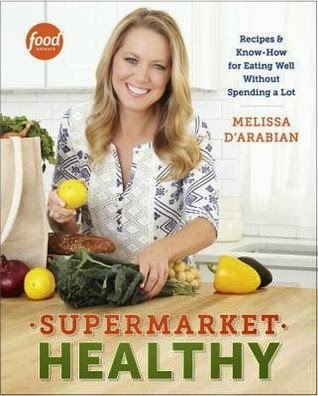 Food Network star and New York Times bestselling author Melissa d'Arabian proves that healthy eating at home is easy, achievable, and affordable. Everyone wants to feel good about what they are eating, serving guests, and feeding their families, but most of us don't do our weekly shopping at pricey specialty stores-- we do it at the local supermarket and we don't want it to break the bank. In her second book, Melissa demystifies the task of preparing nutritious and delicious food by showing exactly how you can make your grocery store work for you. She offers helpful strategies for shopping, cooking, and entertaining, as well as meal blueprints and nutritional information throughout. This book will make you confident about the food you're buying, preparing, and eating. Delicious recipes like Almond Waffles with Raspberry-Basil Sauce, Kale and White Bean Caesar Salad in a Jar, Slow-Roasted Tomato Spaghettini, Flatiron Steaks with Quick Cauliflower Kimchi, and Flourless Fudgy Dream Cookies have something for every type of eater at every meal of the day. No matter your favorite flavors or dietary needs, cooking on a budget is empowering-- and now you can learn how to make every bite count. If cooking at home is the key to healthy living, Supermarket Healthy is the only tool you'll need. Cookbooks....one of my first loves that has stuck with me to this day. I have so many cookbooks that there's a six foot tall bookshelf in my kitchen that's full of them. I can't see to resist them. Now that the boys are getting older and interested in nutrition and let's face it, I just need to focus more on my health, this is one book that I couldn't pass up and I'm so glad that I didn't! Melissa's book is not only full of delicious looking recipes, but it also has tips and tricks and some seriously beautiful food photography that just makes me want to create a meal plan and get myself off to the grocery store! Anything that can help me cook healthier meals on a budget that my teenage boys will eat without asking me, "What the heck are you trying to feed us now?" is a winner in my book!